The city of Bari is located on the South-eastern coast of Italy, opposite Dubrovnik in Croatia, facing the gigantic Adriatic Sea. Very few people know that this Italian city of the Bari, in the Bari Province, was first a part of the Roman Empire which acted as one of the most important entry and exit points to the Adriatic Sea. The Roman routes of Bari can still be traced down in the architectural structures that still stand tall along with the buildings that were inspired by the local architectural styles. Bari gives tourists an opportunity to experience a little bit of Rome while also feeling the Italian vibe at the museums and the local shopping streets. 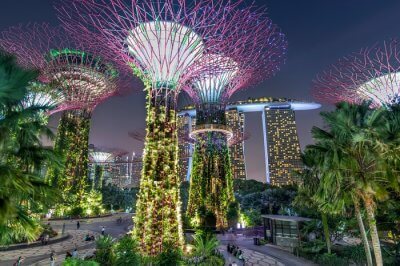 So, check out some of the places you can visit from this charming land for an extraordinary experience of day trips from Bari. If you are staying in Bari but want to explore the places around this little Italian town, here is a list of the top ten places that you can explore by doing day trips from Bari. A day trip from Bari to Alberobello is definitely one of the things that have to make it to your bucket list when you are visiting Bari. The town of Alberobello is located in the Puglia region of Bari and is a very distinctive spot, with only about 11,000 inhabitants who have permanently settled here. One of the most unique things you will see at Alberobello are the Trulli houses. These Trulli houses are made with traditional dry stone and are characterized by conical roofs, making them very different from the kind of houses you would normally see. Location: 70011, Metropolitan City of Bari, Italy. Things to do: Stroll around the streets of Alberobello and discover the town on foot. 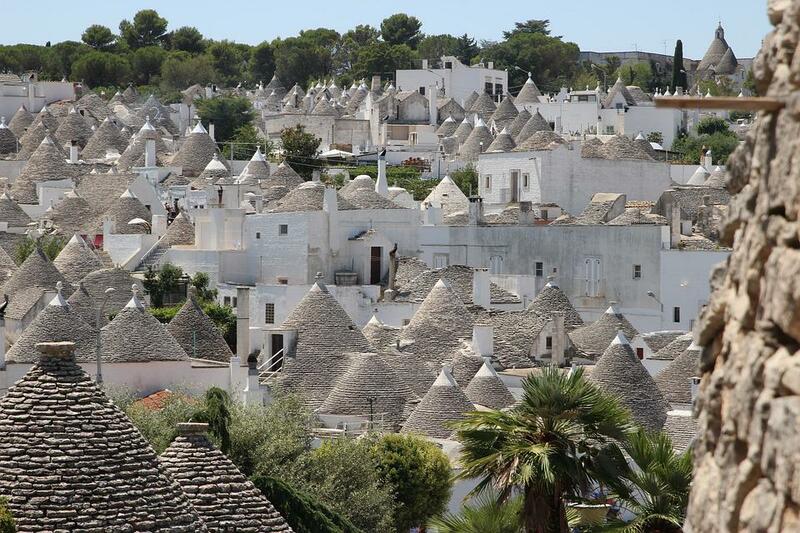 You can also visit the Monti district and have a look at the Trulli houses. Next, visit the Church of Sant’Antonio then buy some souvenirs. Grab a delicious Panini at one of the eateries in Alberobello before you leave. You can also visit the Olive Oil Museum and the Trulli MuseumAlberobello. Matera is another town located in the Basilicata area in Southern Italy. 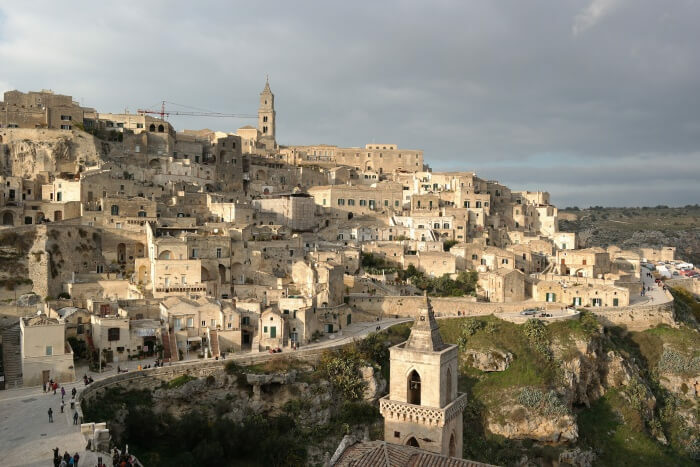 A visit to Matera would be very interesting to those who have a keen interest in history as this ancient town has a very rich past that dates back to the Palaeolithic Era. 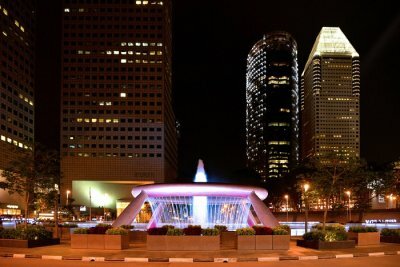 A lot of blockbuster hits have also been shot in this town, including ‘The Passion of Christ’. Location: Southern Italy, 75100, Province of Matera, Italy. Things to do: Visit the Sassi of Matera (Stones of Matera), a UNESCO World Heritage Site. You can also visit the Church of Santa Lucia delle Malve, the wildlife reserves of Bosco Pantano and Policoro and the Natural Park of Gallipoli Cognato-Small Lucanian Dolomites. 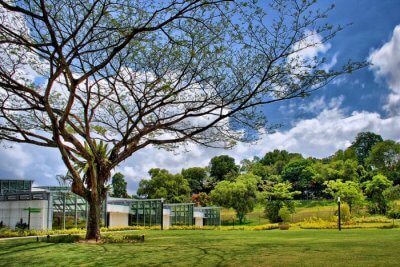 These natural parks are good for cycling, horseback riding and even trekking. 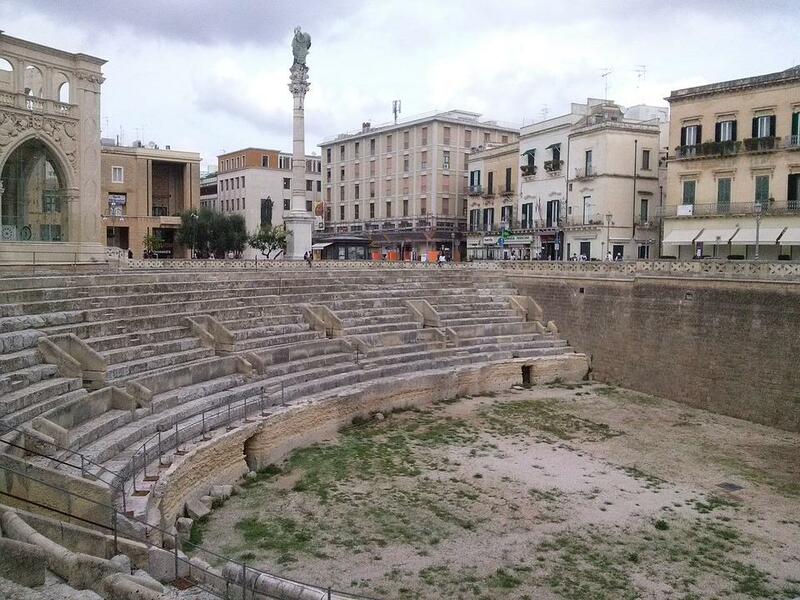 Lecce lies on the Southern side of Italy and is often called the “Rome of the South”. It has long been associated with Greek culture. The architecture in Lecce is inspired by the baroque style of design, especially the Convent of the Celestines Cathedral and Holy Cross Church. Take a high-speed train to Lecce from Bari so you spend lesser time travelling and more time exploring the place. Location: Southern Italy, in the region of Apulia, 73100 Province of Lecce, Italy. Things to do: Visit the most beautiful church in Lecce, the Basilica di Santa Croce followed by the Lecce Castello (Castle of Lecce). 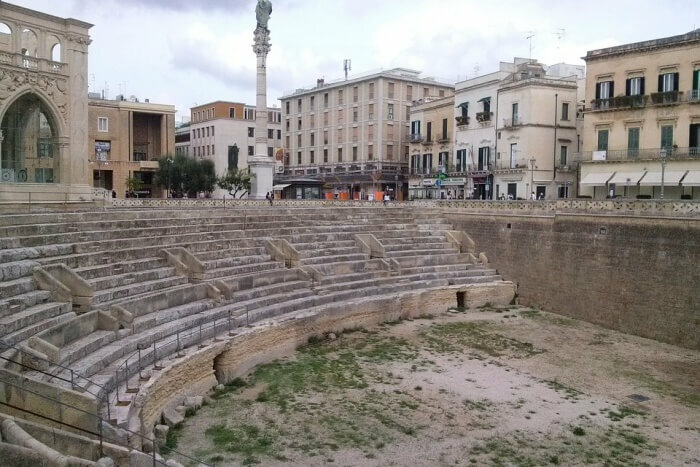 Make sure to visit the Roman Amphitheatre at the Piazza Sanlorenzo. Polignano a Mare lies on the southern side of Italy, in the city of Bari and is often addressed as the ‘pearl of the Adriatic'. 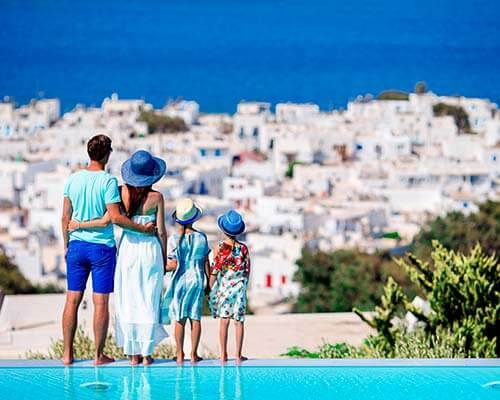 This little town is primarily a coastal town and gives travellers an opportunity to experience the agricultural and fishing sites of a typical Italian town but with a little Grecian touch. 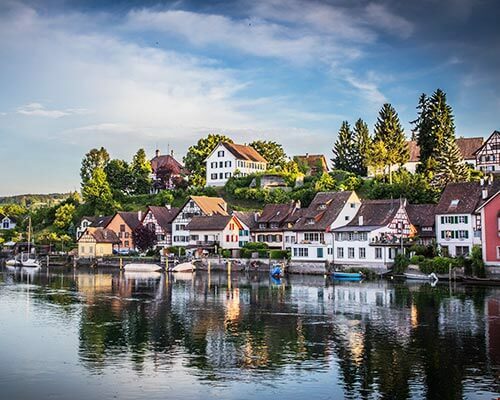 If you are longing for beaches when you are in Italy, you are going to love all the time you spend in this sleepy village as it has plenty of beaches where you can relax and lounge around. Location: Southern side of Italy, 70044 Metropolitan City of Bari, Italy. Things to do: Visit Porto Bianco and take a dip in the waters of the ocean, visit the Abbazia di San Vito church. Do cliff diving at the Polignano a Mare Beach. 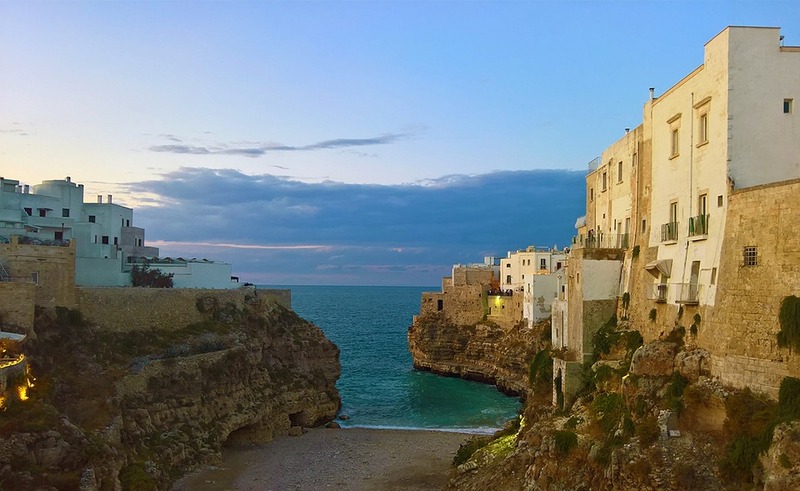 Also, if time permits, visit the old town portion of Polignano, called the Centro Storico Polignano a Mare. We strongly recommend you try the ice-creams and coffee specialities at Polignano. You can also book a wine-tasting experience when you are in Polignano a Mare. The 'Grotte di Castellana' are also collectively known as the Castellana Caves and are the most important attractions in Puglia in Italy. These are located just a few kilometres away from the towns of Alberobello and Cisternino, right at the entrance of the Itria Valley. 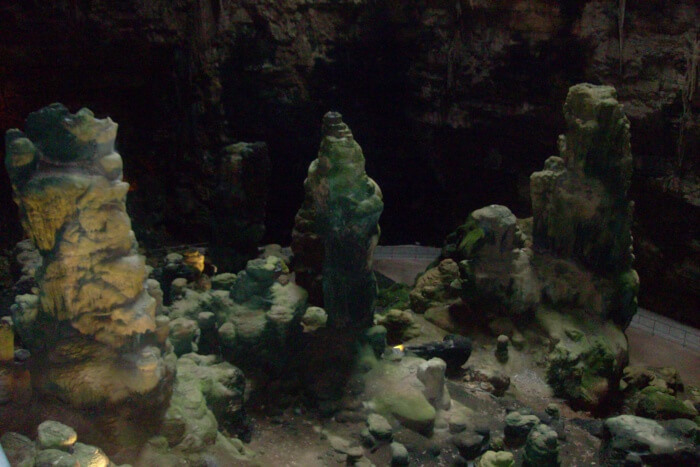 The caves of Grotte di Castellana began to form about 90 million years ago. If you are someone who likes to explore natural formations and heritages, a day trip to Grotte di Castellana is definitely one that you must take. Location: Piazzale Anelli, 70013 Castellana Grotte BA, Italy. Things to do: Take a guided tour of the caves which are about 60 metres deep. You will see rock formations in unique shapes, fossils, concretions and stalactites when you tour these caves. 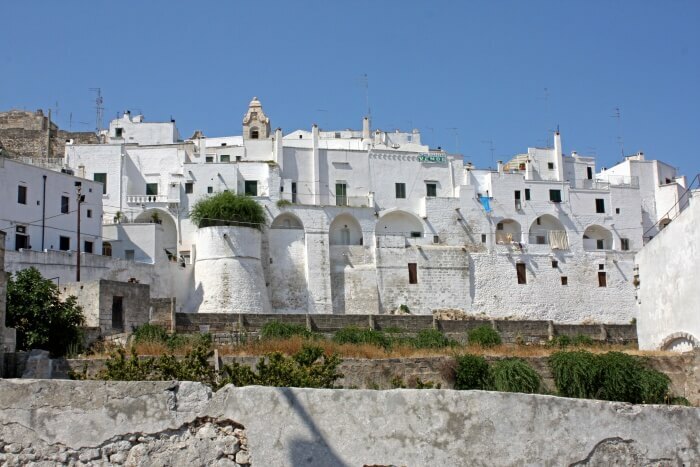 Ostuni is known as Italy’s white-town and overlooks the coastal planes as it remains seated on a hilltop. The views of the coastal planes are impeccable, lined with never-ending olive groves. 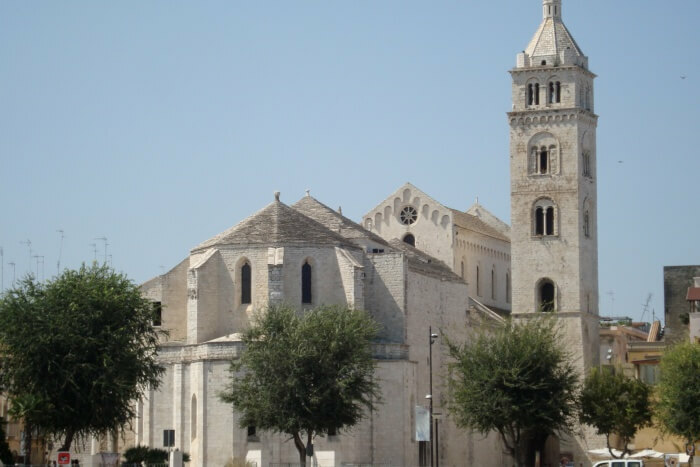 Just like the other towns of Italy, there are lots of cathedrals in Ostuni that are inspired by the Gothic, Romanesque and Byzantine architectural styles. 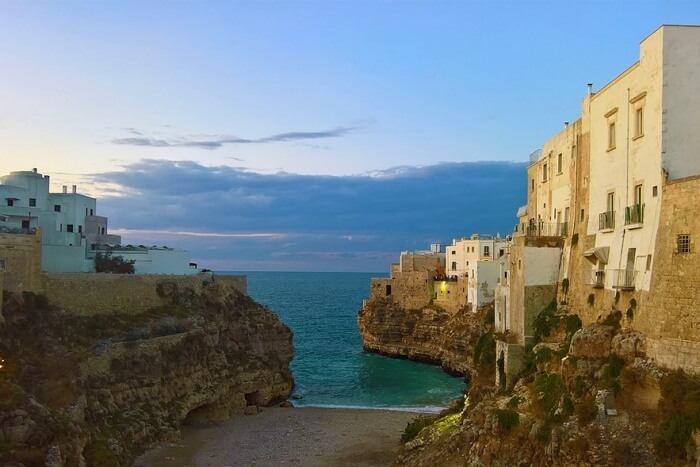 When you are in Ostuni, you will be able to smell the aroma of fresh olives and olive oil wherever you go as this place is especially known for its organic olive oil mill. Location: 8 kilometres from the Brindisi coast, 72017 Brindisi, Italy. Things to do: Go on an olive oil tasting excursion in Ostuni and learn the differences between high quality extra virgin oil and low quality extra virgin olive oil. 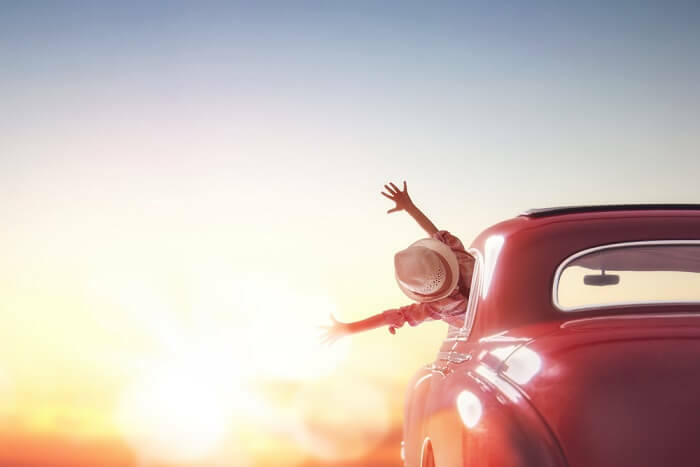 Trani is a beautiful seafront town on the southern side of Italy and has an inherent old-world charm that will please the inner romantic in you. One of the most popular places in Trani is the stunning cathedral that is located right by the glittering sea. Trani also has a very elaborate historic centre which can be explored even on foot, owing to the minuscule size of the town. Location: Apulia, 76125 Province of Barletta-Andria-Trani, Italy. 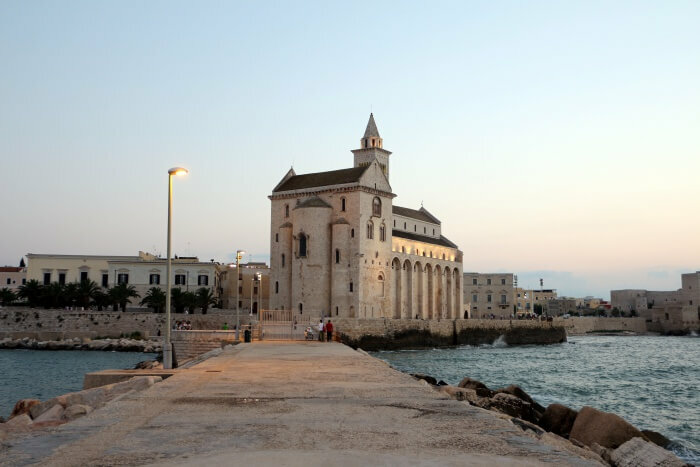 Things to do: Visit the Romanesque Duomo in Trani and then head over to watch the sunset by the sea. Visit another ancient church called Chiesa di Ognissanti which was a favourite among the Crusaders. Popularly known as the “City of Olives”, Bitonto is a city in Italy that lies to the west of Bari. 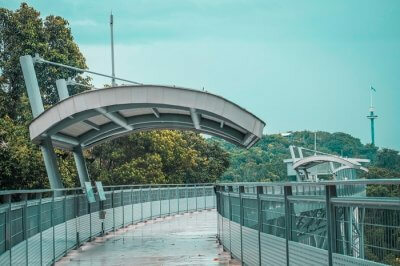 Legend has it that lots of Roman coins were found in Bitonto from the 3rd Century to the 6th Century BC, hinting at the city’s Roman routes and connections to the Kingdom of Naples. Bitonto is another ancient town of Italy which makes for a great day trip option from Bari. 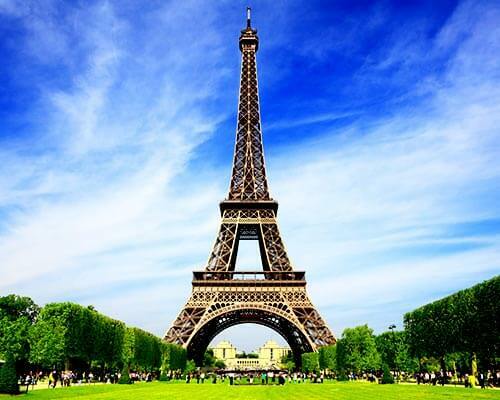 This town is known for producing some of the best olive oil that can be found in the Southern region. Bitonto is also home to some of the best archaic Romanesque cathedrals which happen to be one of the best ones in Apulia. Location: Western region of Bari, 70032 Metropolitan City of Bari, Italy. Things to do: Visit the Archaeological Museum of the Palo Ungaro, the Cathedral of Bitonto, buy some olive oil for loved ones back home from Bitonto. 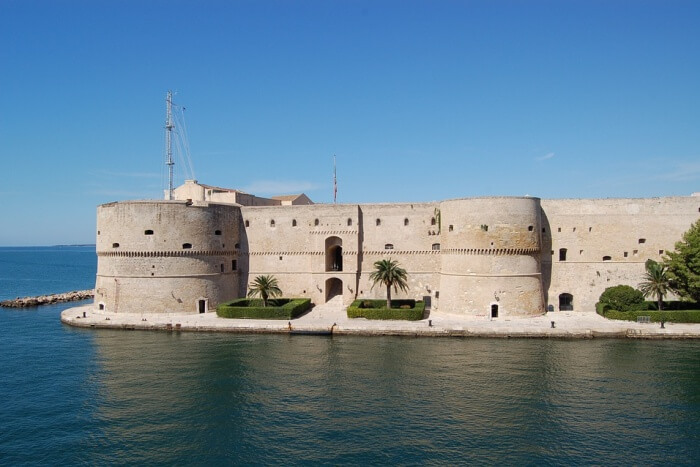 Taking a tour of the Castles of Puglia is a great idea for a day trip from Bari. Step back in time with this castle tour that takes you around the castles built by King Fredrick II in the XIIth Century. All the castles that you visit on this tour are located in an area called Puglia Imperiale, one of the richest areas in Pulgia. Location: The day tour from Bari (Italy) starts from your place of accommodation itself, depending on your tour operator. 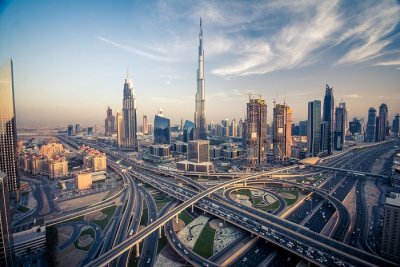 They usually offer pick-ups/ drops directly from and to your place of accommodation. Things to do: Visit the Castel del Monte, Castle of Charles V, Castle of Otranto, Castle of Trani, Castello Aragonese. 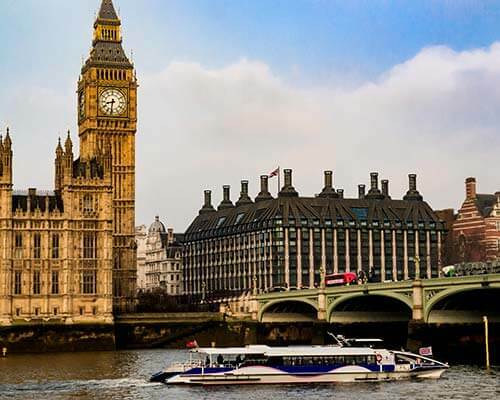 We suggest you take this castle tour through local tour operators so they can take you around the castles and even explain the historical relevance of these castles to you as you go about exploring them. Barletta is a city located on the southeastern side of Italy, facing the Gulf of Manfredonia and the Adriatic Sea. 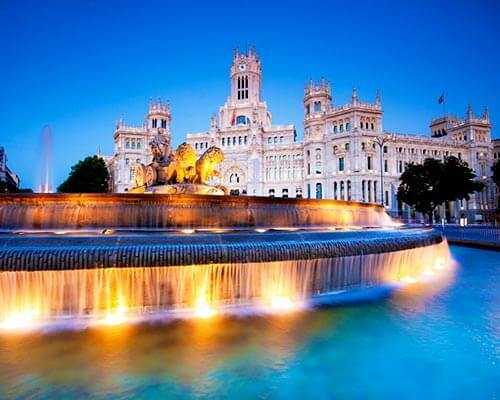 This city is surrounded by clear waters on one side while the other side is full of lush farmlands. The city of Barletta is a perfect mix of tourist sightseeing spots, pristine beaches and remarkable historic buildings. Location: Southern Italy, 76121 Province of Barletta-Andria-Trani, Italy. 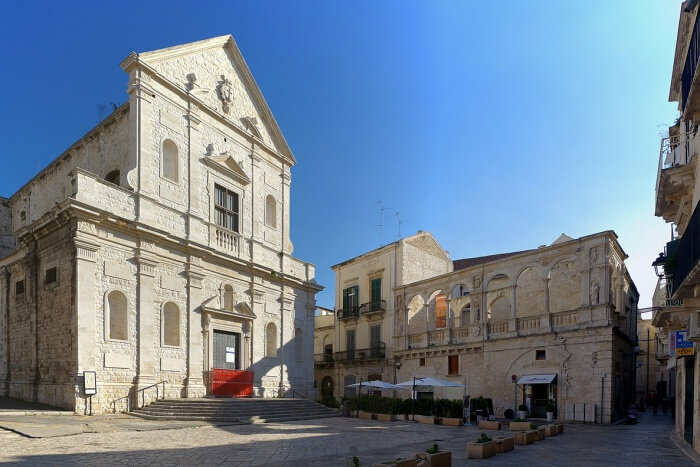 Things to do: Explore the medieval era castle called the Casletto Svevo di Barletta, Visit the Curci Theatre, lounge around at Barletta’s Lido beach and then enjoy the best Italian meal at the famous Al Vecchio Forno restaurant. When are you booking your tickets to Italy, to explore Bari and the hidden gems around Bari? 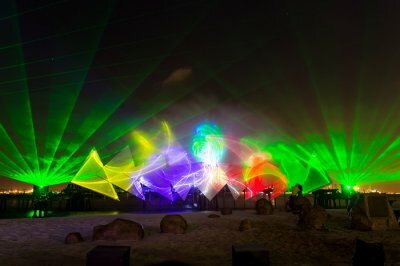 Book your tickets with Travel Triangle, now!